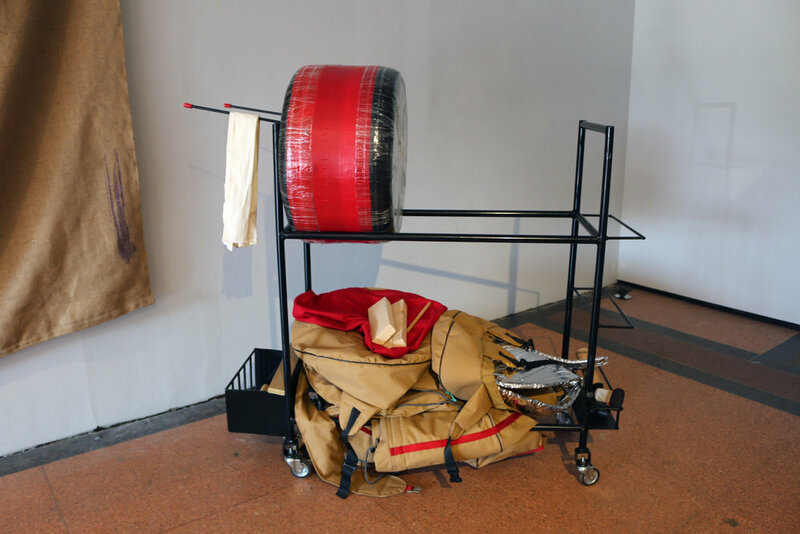 Polyester, embroidery, PVC, tires, masking tape, packing tape, duct tape, steel, plastic. Cost-effective taiko practice drums are often made from car tires with packing tape wrapped tightly around to make a thumping hollow space. Single tires make nagado daiko, a sandwich of four tires make an o daiko and a wood block acts as a shime daiko. 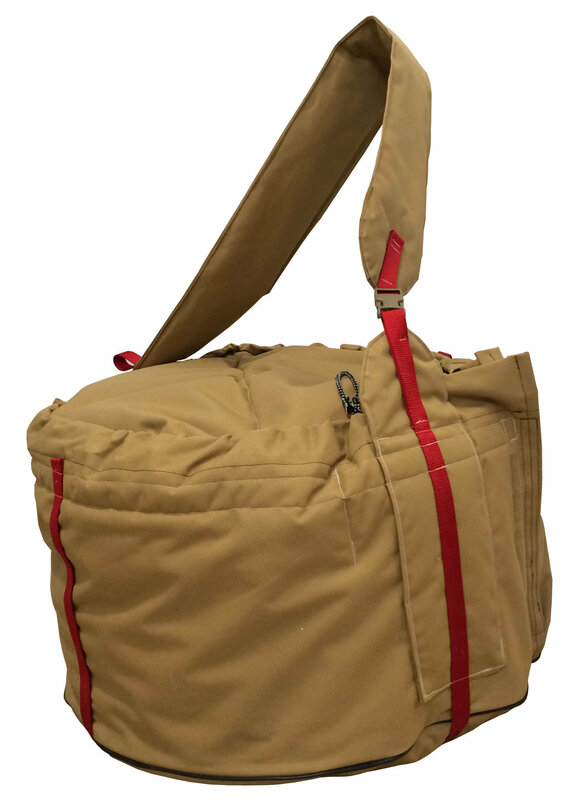 Backpacks and sling bags resembling both musical instrument transport luggage and spare tire covers are fashioned from strong utility fabrics. 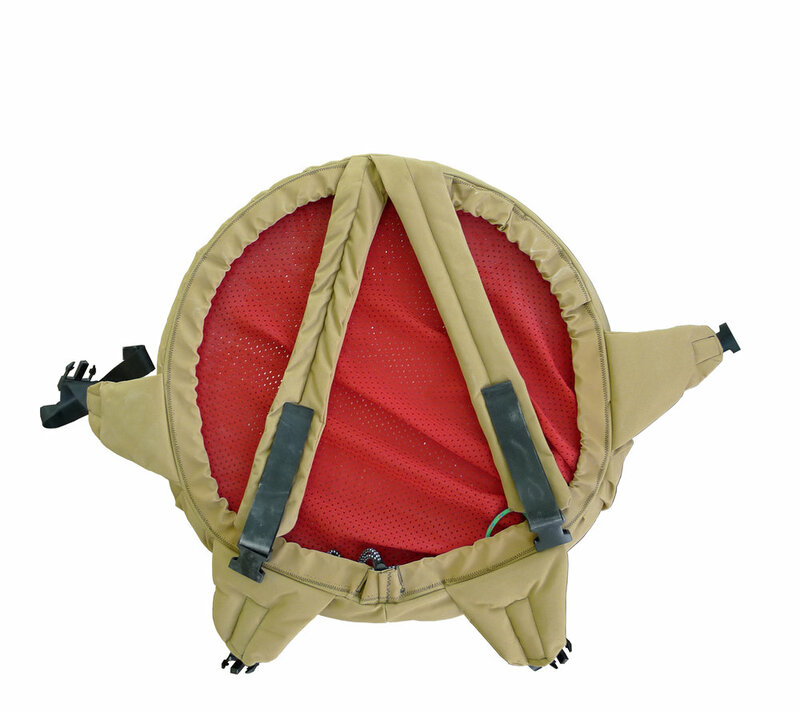 The backpacks that hold the nagado daiko are lined with mylar padding, reminiscent of spare tire warmers used in Formula 1. During the exhibition, a local all-women drum group follows a score like a memorized narrative.